It's hard to say no to prints; but it's even harder to resist a trend that is comfortable and good. The pajamas style trend is not your typical pajamas that you wear to bed. The fabric and style are influenced by your nightly PJs except this trend can actually be worn outside and during the day. The pajama style is the definition of "I woke up like this." 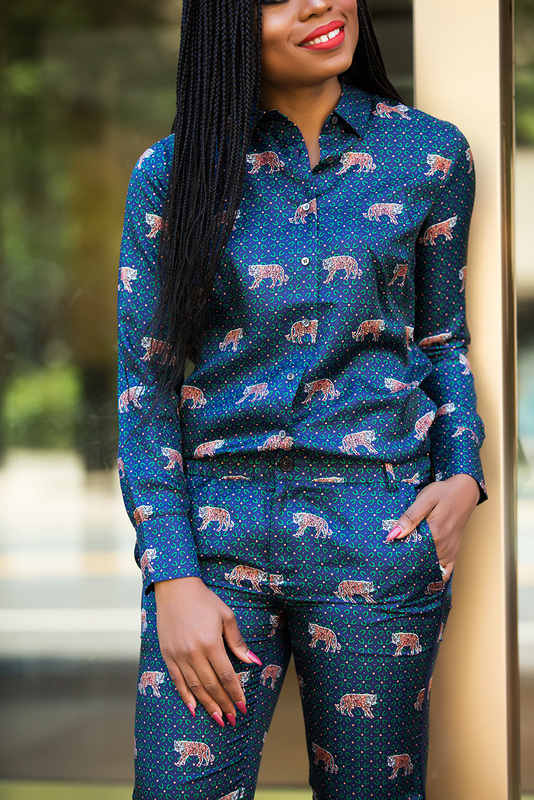 In today's look, I am wearing JCrew silk tiger print pajama style set. I love the subtle mix of colors. To highlight the print colors, I paired it with leopard pumps. The leopard print addition helps create a fun fix to the overall look. 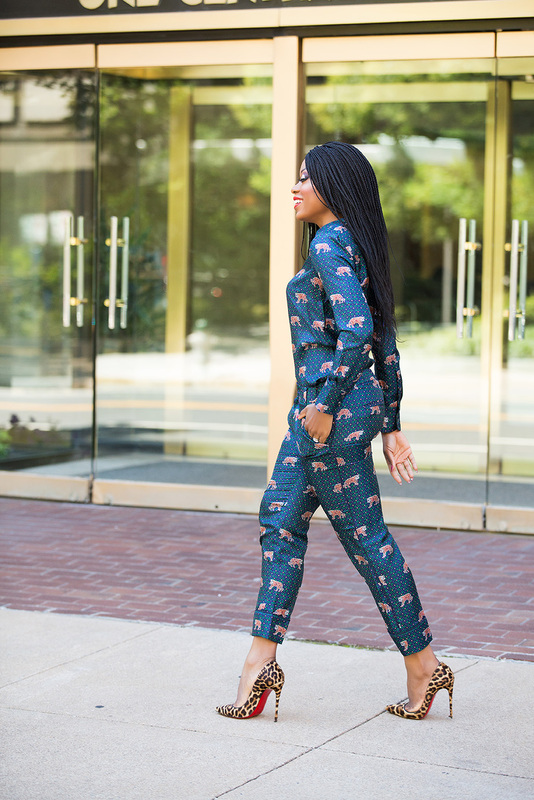 There are so many ways to wear pajamas style by day. If you are reluctant about this trend, start with darker colored pajamas because they will not scream pajamas as much as this pink colored pajamas. You can also ease into the trend by styling it separately. 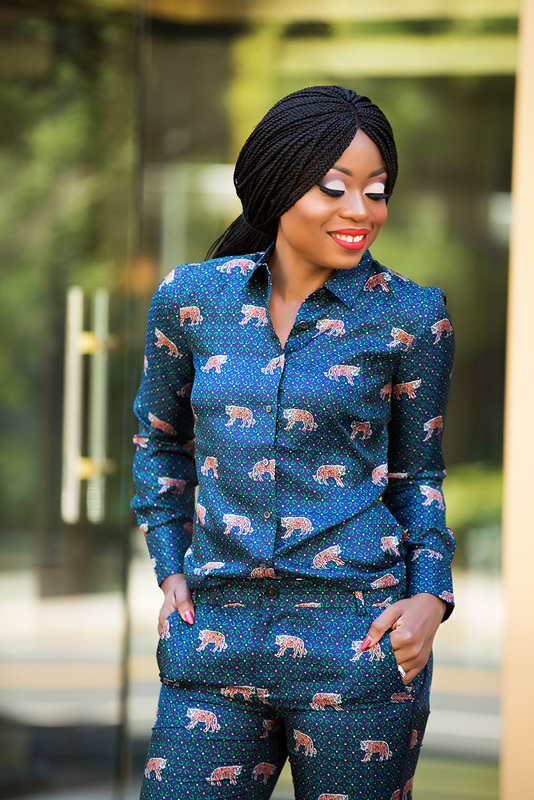 Style this pajama top with jeans or this pajamas bottom with a white tee and blazer. love this. I was just looking for one. Nice PJs, love this style!